Some of the most amazing views that you can see in the National Parks here in the United States or in other parts of the world require a bit of a climbing. If you’re looking at a photograph of a place with a dramatic sweeping view of a mountain, chances are that it’s going to require you climb up something else to be able to view that. When we went to Florence, we wanted to climb to the top of the Duomo which is about 450 steps. Now, that seems like nothing, but I was so out of shape that it was painful. I almost said I didn’t want to do it at all, but I’m glad my husband forced me to. We have videos of my struggles and having to stop every five seconds to catch my breath. If it weren’t for the amount of profanity in the videos, I would post them. When I went on my second real camping trip, the terrain was flat, but I was struggling. There was no reason for it to feel that difficult, but I just hadn’t trained or conditioned for it and thought, “it will be fine.” Well, turns out it was actually rather painful and not in a way I was used to. I hadn’t learned to push through the pain or know how far I could go before giving up. I had to learn my limits through training. After this trip was when I decided that if we’re going to keep doing these camping and hiking trips, I better do some preparation. I’ve read a lot of blogs about how to prepare for hiking and what sorts of exercises to do, and I wanted to share with you some tips on what I’ve been doing to help prepare. Whether you’re planning to hike in the Smokey Mountains or the Welsh Coastal Path, you’d benefit from a little conditioning. 1. Lift weights. The phrase “no pain, no gain,” really applies when considering how much weight you should be lifting. I was so concerned about hurting myself that I would only lift a small amount of weights that I barely strained at all. I also believed this fallacy that to “tone” you only lift a little bit of weight. Well, I lifted a little bit and I didn’t see any toning happening. You need to use heavy weights if you want to see results. I lifted what I thought I could for months and never saw any changes. It wasn’t until working out with my sister when she said, “Um, you can lift more than that,” that I realized that yes, I actually can. After doing weight training, I noticed a huge difference in my stamina when I did cardio. The first hike I did after doing some weight lifting was Angel’s Landing in Zion National Park (that’s the view right above.) That was challenging, but the weight training really helped. 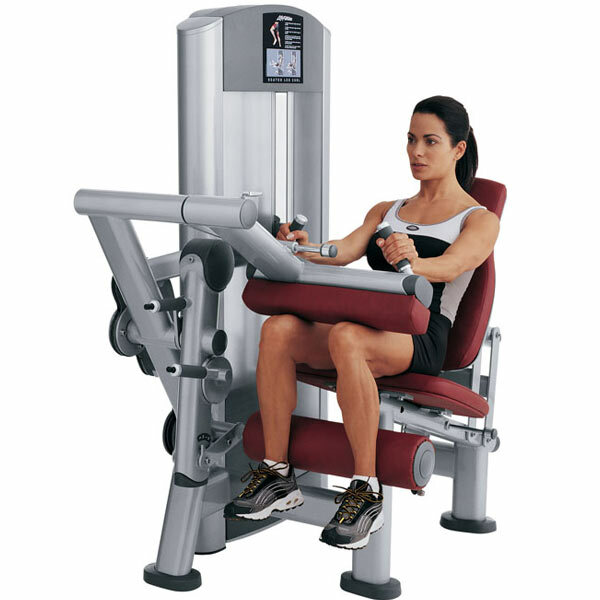 For leg prep, a couple of my favorite machines at the gym are the leg extension and the leg curl. Squats and split squats on the smith machine are also great for building strength in your legs. If you’re unsure how to use these, don’t be afraid to ask someone. If you’re not comfortable with the people at the gym, invite a friend who knows what they’re doing to help. A combination I really like is to set a timer for 20 minutes and do 15 push-ups, 15 squats, 15-lunges and run a lap, and repeat as many times as I can for that 20 minutes. 3. Take group fitness classes. Skip the treadmill, and go to a fitness class that will force you to do way more than you would on your own. Classes like boxing, cycling or Crossfit can push you further than you’d imagine. The kind where your legs feel like they’re going to give out (or actually do give out.) If you feel like you’re dying, don’t worry, you’re not. One cycling class I took, the instructor said, “When you can’t go any further, just go ahead and keep going.” Try out some classes and see what you enjoy the most. These types of classes are good for cardio and help you mentally realize that you’re capable of much more than you think you can. Your mind gives up faster than your body and sometimes you just need a little encouragement from an instructor or others in the class. 4. Take the stairs. The StairMaster is a great way to get your legs conditioned for what you’re about to do to them. If you don’t have access to that type of machine, you can also find somewhere to go with lots of stairs around your area. In our area, we have two large dams with lots of stairs that you can run up and down. You can always do stairs at your house, or find an apartment building with lots of floors and run up and down the outside stairs. Stairs really prepare for the climb up. 5. Prepare for the descent (downhill hiking.) If you have a heavy pack on, it can be challenging to not slip and wobble all over the place when going downhill. Hiking poles can assist with this as well. If you’re working on strength and weight training that will be helpful because the stronger your legs are, the more durable you’ll be. But you still want to practice with a pack on to see how you do. Try putting a pack on and walking down the stairs to see if your legs are ready for the descent. I hope these tips will help you get in shape for your next hike. I know that I’ve never been disappointed when I’ve pushed myself, but I have been disappointed when I was unprepared and unable to really enjoy what I was doing. Get out there and push yourselves so you can see those awe-inspiring views! Shout out to my sister and boxing trainer who have pushed me to my limits. You made me throw up, you made me cry, but you also helped prepare me to do what I really want to do: see the views on top of a mountain.